Perhaps over the Christmas period you’ve discussed the possibility of changing your garage door but have struggled with the ‘what for’. 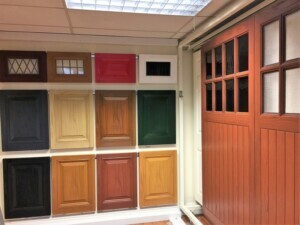 Consider visiting our well stocked showroom in Banstead, Surrey to discuss your garage door requirements with one of our experts. 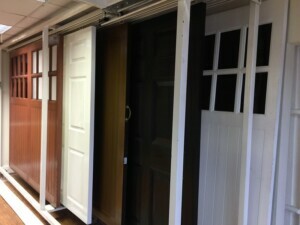 We have GRP (fibre glass), timber, roller, steel, side-hinged and sectional doors on show. 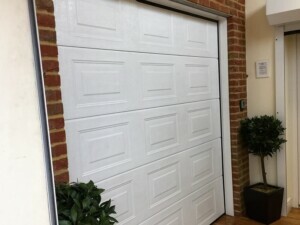 The roller and sectional garage doors are operational so we can show you exactly how they work. The showroom is open Monday to Thursday from 8am till 5pm and on Friday from 8am till 4pm. There is no need to make an appointment but if you would prefer to do so then call us on 01737 309103.